Pallet film is a low-density polyethylene stretch film, which provides a strong wrap, enabling pallets of goods to be transported securely. 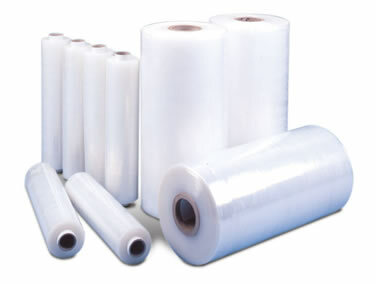 We hold stocks of both hand pallet wrap film (17 & 23Mu x 300 & 400mm) for use with hand dispensers and machine pallet wrap (standard and power pre-stretch 23Mu x 500mm) for use on pallet wrappers such as our BEX200 pallet wrap machines. Alternative sizes/thicknesses and coloured pallet wrap films are also available (subject to minimum order quantities and lead-times).